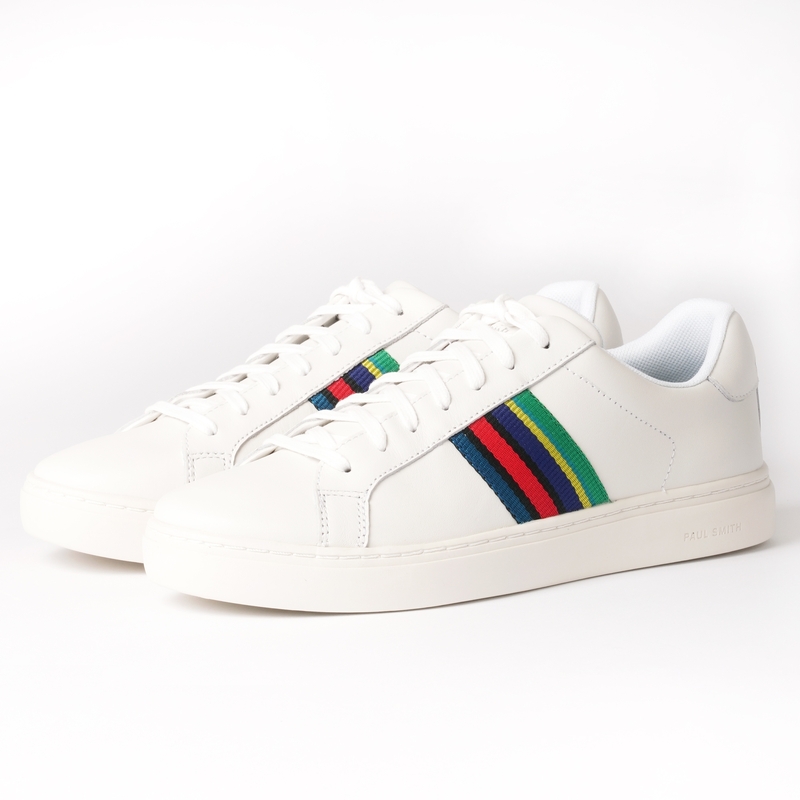 A stand out luxury sneaker that is perfect for smart casual wear over the course of the coming months this White iteration of the classic PS by Paul Smith Lapin Sneaker promises to offer a statement with a pop of contrasting colour courtesy of the "Cycle Stripe" Web detailing to both sidewalls. Boasting uppers that have been constructed from a premium quality calf leather finished with a smooth texture the shoe sits upon a desirable tonal white Rubber Cupsole and grippy rubber outsole. Detailed with signature branding at the heel and tongue they are a great smart casual option to have in rotation. Try teaming with a pair of slim fit denim from the likes of Levi's for optimal performance throughout warmer periods of the year.